Tortoise+Black is committed to ensuring that your privacy is protected. Should we ask you to provide certain information by which you can be identified when using this website, then you can be assured that it will only be used in accordance with this privacy statement. Tortoise+Black may change this policy from time to time by updating this page. You should check this page from time to time to ensure that you are happy with any changes. This policy is effective from 16/05/2018. 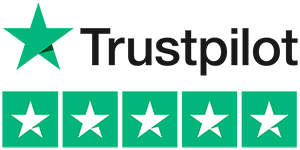 Tortoise+Black works with a number of trusted suppliers, agencies and businesses in order to provide you the high quality goods and services you expect from us such as delivery companies, fraud prevention agencies and others. Tortoise+Black works with a number of trusted partners who supply products and services on our behalf. All partners are subject to thorough security checks, and will only hold the minimum amount of personal information needed in order to fulfil the orders you place or provide a service on our behalf. In order for you to receive your goods, Tortoise+Black works with a number of delivery partners. Again, we only pass limited information to them in order to ensure delivery of your items. Tortoise+Black works with trusted third party payment processing providers in order to securely take and manage payments. You may request details of personal information which we hold about you under the General Data Protection Regulation (GDPR). If you would like a copy of the information held on you please write to Tortoise+Black, Great North Road, Wittering, Peterborough PE8 6BX or contact us on info@tortoiseandblack.com ref: Personal Information.